Steven Kitshoff will indeed pack down for Sale Sharks later this year, but not for record-breaking money. Reports earlier this week linked the Springbok and Stormers loosehead prop with a move to the ambitious English club on a deal so lucrative that it was said Kitshoff’s current employers would need to raise a counter-offer with an estimated value of R60m over five years to keep him in South Africa. Sources have since confirmed that Kitshoff has put pen to paper on a Sale contract that kicks in after the 2019 Rugby World Cup, but that it is a three-year deal with a more market-related gross value of R27m (£1.5m). 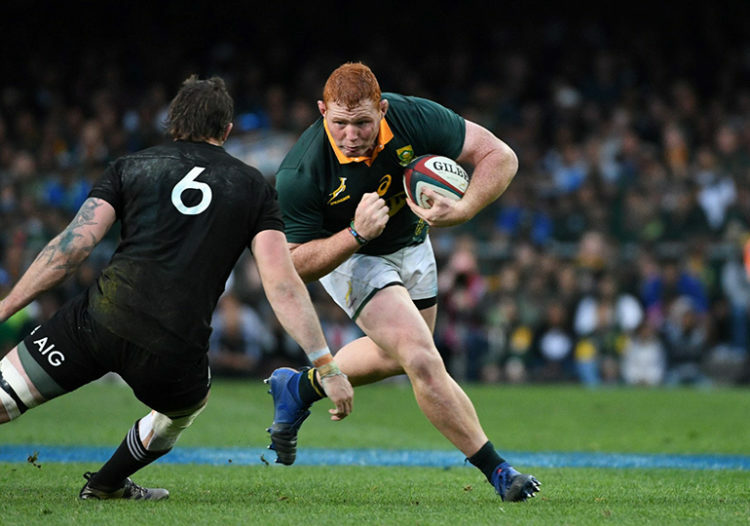 The 37-Test scrum juggernaut will add real bite to the Sale set piece, joining a squad that includes Faf de Klerk, Jono Ross, Rohan Janse van Rensburg and Josh Strauss, while the club has been linked with long-term offers to the Du Preez twins and their older brother Robert. The out flow of players after the World Cup, will present a bit of a headache for the new Bok coach! Though probably a good time to start from scratch! We have just passed scratch a while ago. How many times do you want to lose to Wales, Scotland and Italy? Scratch is not a good place. Is there some miraculous alternative if most of the current squad move abroad after 2019? You seem to have a solution – all ears! Disinformation campaigns and fake agents. Let the English believe our good players are bad and the bad ones are good. That way we keep the best and get rid of the dead wood. How about censorship for rugby writers and commentators. Ban them from using the names of players we don’t want to lose. Hell, I don’t want to go to scratch again. It is not a fun place. How about crowd funding. Then again, getting South Africans to agree on which players to keep, will probably be impossible. Civil war will be the likely result, unless someone steals the money first. Damn. Scratch is not a good place to live in for the rest of your life. Then again, I’m old. Maybe I’ll die first. Probably the only way to avoid scratch. Scratch probably contain a lot of Sharks forwards, especially props who can’t scrum, in spite of their considerable bulk. No, unfortunately the Currie Cup Champs are in high demand. The frenzy Is in motion, Probably more IP theft in KZN than elsewhere, though the year is but a pup! Great news! Did Coenie and Thomas receive offers too? R 27 million over 3 years vs. R 60 million over 6 years. Where is the huge difference. R 3 million over 3 years. It all depends on where the exchange rate sits that particular week. This staff writer is no math wizz, is he? I think it was probably Glen, you know what Glens are like! Yeah, the Glens are everywhere. The word used to conjure up a memory of beautiful Scottish valleys. Now it is the stuff of nightmares.